This entry was posted on December 5, 2015 at 2:11 pm and is filed under 55, poetry, Uncategorized. You can subscribe via RSS 2.0 feed to this post's comments. The speak in listen is something I would love to be better at… but definitely a great way to be multilingual.. speaking tree would be good too.. maybe I could meet some ents. The language of trees is very very involved and slow, according to Tolkien anyway, but its vocabulary covers things of which we can’t begin to conceive. I can’t help but feel that poetry is similar, and this is beautiful poetry, with imagery that challenges us to reframe our identity/relationships in thoughts of what it is to be a slower, more rooted thing–especially love the last stanza–now that is a language few take the time to learn, or speak–to see listening as its own language is a powerful (and very true) insight indeed.Thanks so much for finding the time to participate, Karin. Thank you, Joy, for cool prompt and kind comment. I have a longer version of the poem I may work on for open link. K.
What a paradise this world would be if we could learn “to speak in three” and “in listen”… It seems that we most often speak in self. To speak and listen for love in varying forms and situations can be interesting! Lovely write K! I would like to learn those languages too. This is lovely, and clever and thoughtful. Perhaps as poets we already speak in tree, wind, lightning, stone, ocean & birdsong. I, for one, assisted by my loving spouse have been working on improving my speaking in Listen; which as a type-A individual I found difficult. Looking forward to the “rest of the story” with this train of poetic thought. OMG! Would you consider selling me your imagination? Wow….I am speechless. I love this so much! speak in listen… now that is truly something we need more of. 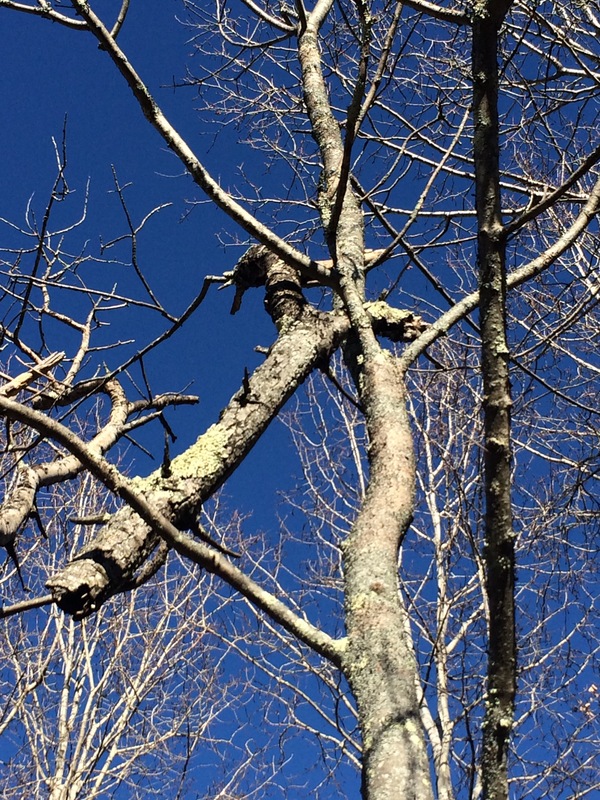 Intriguing photo – it looks like that one branch is about ready to fall!